After harsh scrutiny from the public and the UK Gambling Commission, 888 conceded that they would honour ante-post bets on the Cheltenham Festival as a gesture of goodwill. However, ante-post bets for football, such as the winner of the Premier League and the Championship, will not be honoured – leaving many football fans outraged and accusing 888 of only honouring Cheltenham bets due to its topicality. But how has the controversy affected the company? 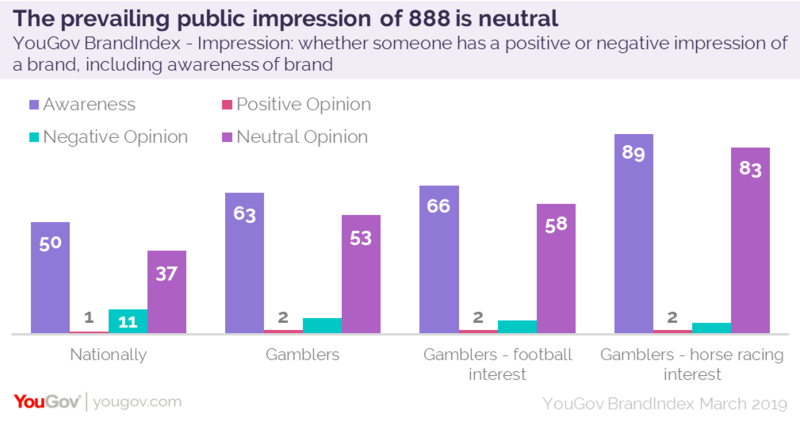 Opinion is starting from an already low base – 888 doesn’t have strong awareness among the British public, and 50% of Brits haven’t even heard of the brand. This improves to 63% among those who have placed bets at a bookmakers (either online or at events) in the last 12 months, and among those gamblers who also follow sports the figure rises again: 66% awareness among football punters, and 89% awareness among horse racing punters. This shows that the decision to appease horse racing punters above all else was perhaps a wise one. In general, 888 has a pretty low Impression score (whether someone has a positive or negative impression of a brand) with 11% of Brits viewing the brand negatively. This isn’t much better among gamblers, with 7% still viewing the brand negatively. 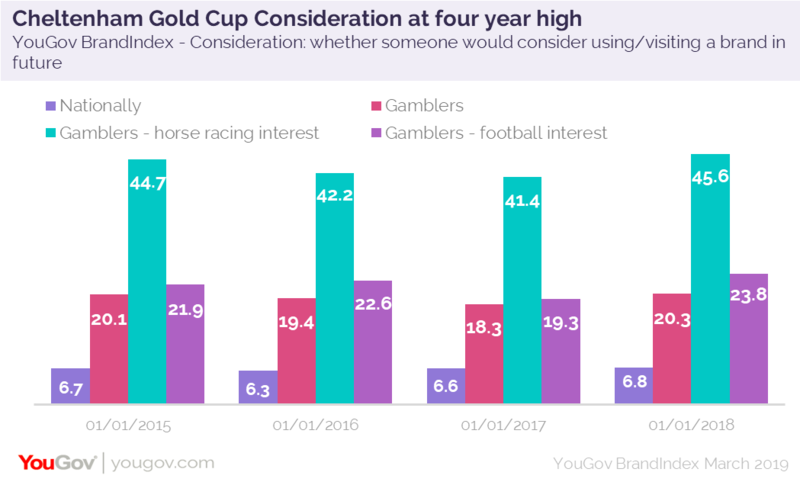 However, those who gamble and also follow sports have a slightly less negative view – 6% among football punters, and 5% among horse racing punters. But the move to let BetBright’s football bets fall by the wayside will have an impact on the parent company: 888’s Impression score (whether someone has a positive or negative impression of a brand) among football followers dipped from -8 to -12.7 last week.